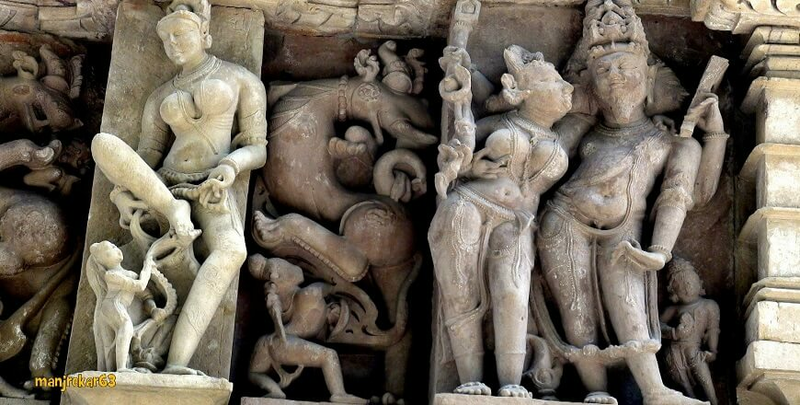 This package is short and very intresting tour package for those who want to explore the history of khajuraho. The Khajuraho Group of Monuments is a group of Hindu and Jain temples in Madhya Pradesh, India, about 175 kilometres southeast of Jhansi. They are one of the UNESCO World Heritage Sites in India. Upon arrival at Khajuraho meeting and assistance followed by transfer to hotel. Later visit sound and light show at Khajuraho back to hotel and overnight stay at hotel. Sound & Light Show: The Light and Sound show on the Western Group of temples complex which reminds the life and times of the great Chandela Kings and mark out the story of the exclusive temples from the 10th Century to the present day. The 50-minute fascinating show is held in every evening and it runs in Hindi and in English. After breakfast, visit western group of temple and eastern group of temple. Afternoon free for self-activities, overnight stay at at hotel. Western Group of Temple: On the main road, beside the path leading to the Matangeshwar Temple is the A.S.I counter where you must purchase a ticket to visit the western group of temples in this complex and the museum on the opposite side. A boundary wall surrounds and protects the temples within this large rectangular complex and there is only one entry point. Here at the Western Group you will see some of the most sensational temples in the world. Eastern Group of Temple: A kilometer towards the east from the western group of Temples is the khajur sagar and the old village of Khajuraho. On one of the paths to the village is a modern whitewashed structure with a large orange - red statue within. The statue is still worshipped but is one of the oldest images to be found in khajuraho.The images is of hanuman, the monkey king who assisted Ram (of the Ramayana) through his travails in exile. Breakfast at the hotel and transfer to airport connect flight for onward destination.